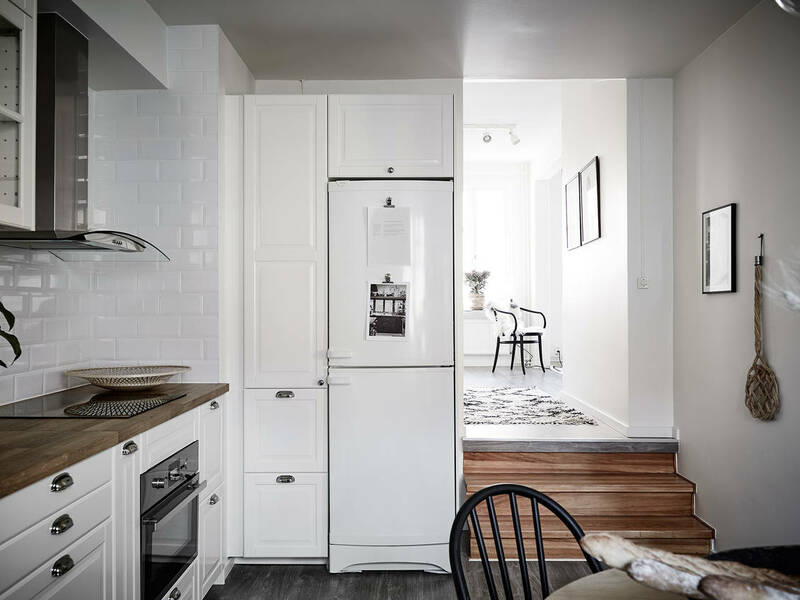 Saper arredare bene vuol dire anche infondere agli interni le atmosfere che più amiamo: così per un interno sereno e calmo sappiamo di doverci rivolgere a un total white, perché il bianco purifica e rilassa la mente e il corpo. 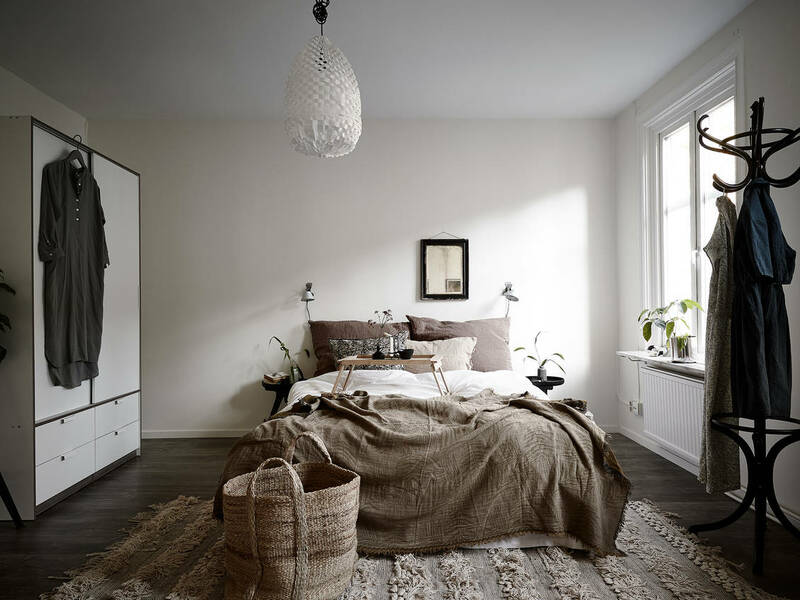 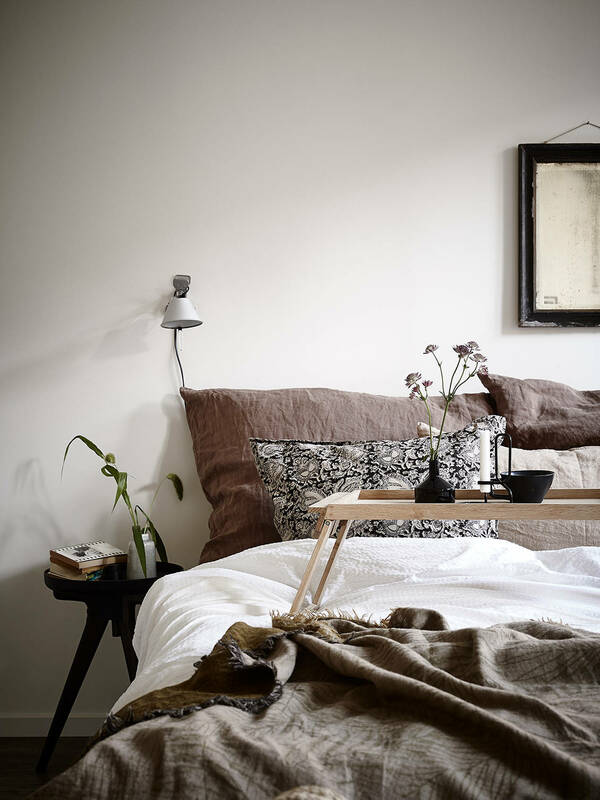 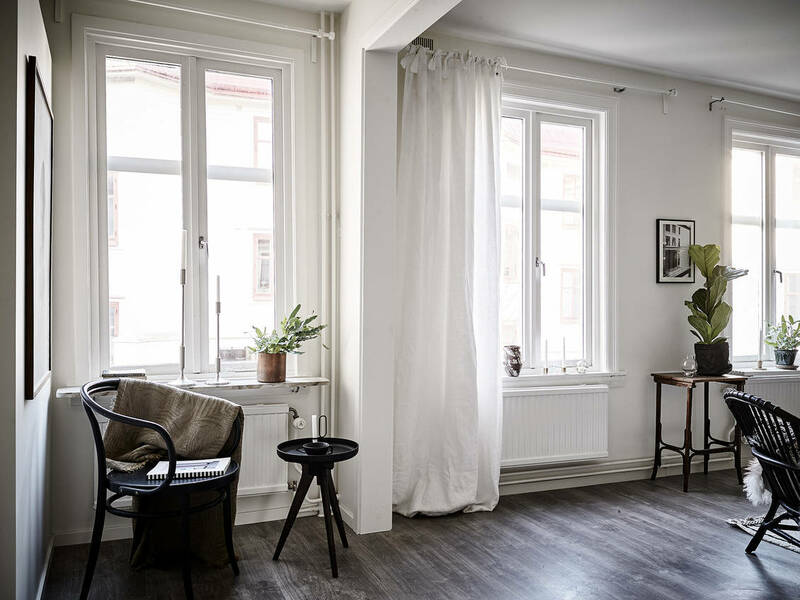 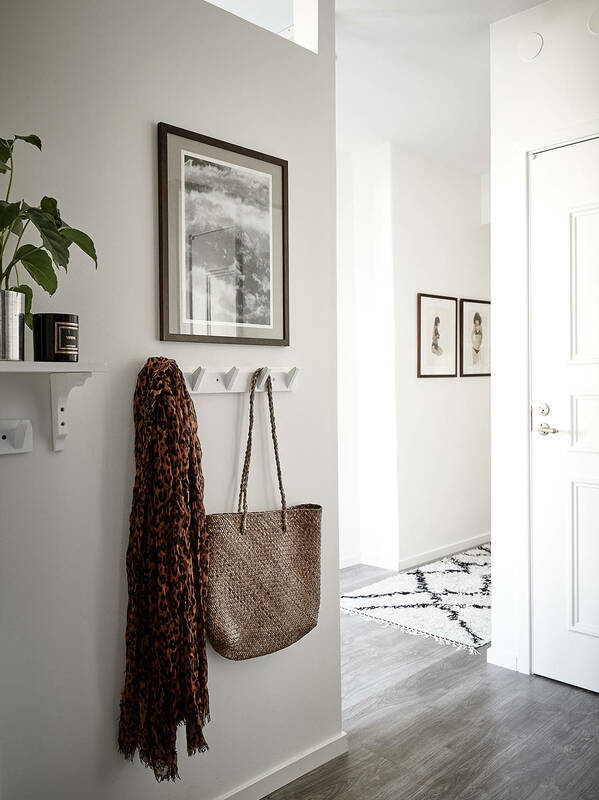 L’appartamento total white che vi presentiamo oggi mette in risalto il colore protagonista assoluto grazie ad uno splendido parquet grigio scuro, la cui tonalità è ripresa da diversi elementi, i cuscini, coperte e la porta d’ingresso. 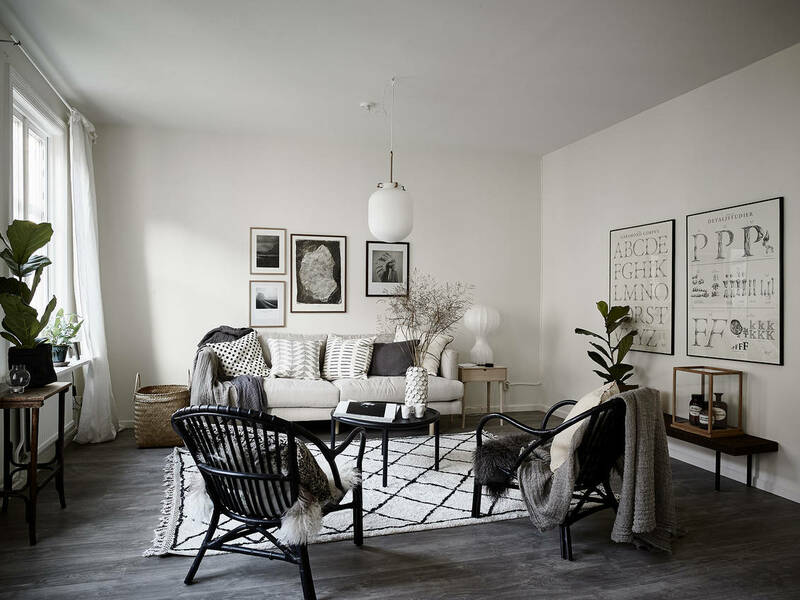 La palette del resto della casa si gioca su un delicato equilibrio tra bianco e nero, come i tappeti berberi dai motivi geometrici, coffee table e poltrone nere, e i poster originali alle pareti. 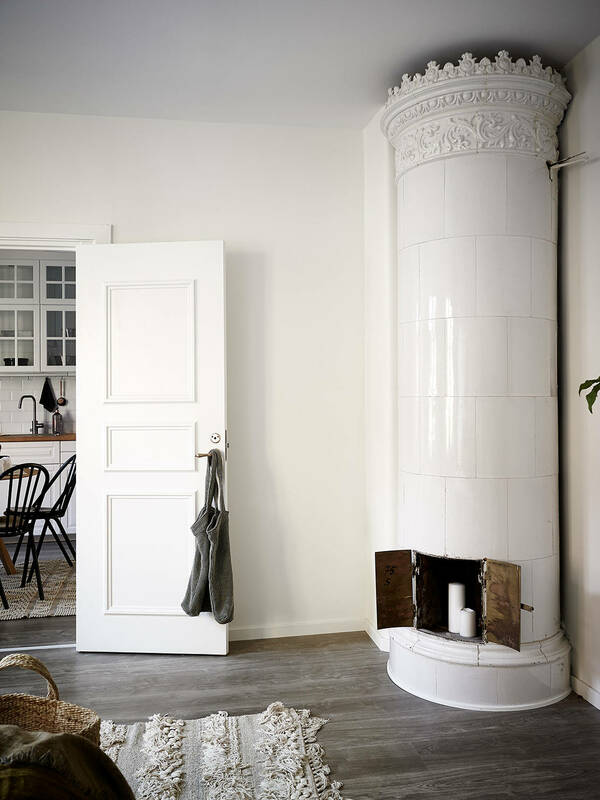 Ma sono i dettagli che contribuiscono massicciamente all’irresistibile fascino di questo appartamento: i vasi di diverse fatture e materiali, tante piante, lampade divertenti e rigorosamente bianche, due bellissime e autentiche stufe in maiolica, o ancora l’uso sapiente del legno in cucina, leggere tende bianche e tappeti in tessuto naturale. 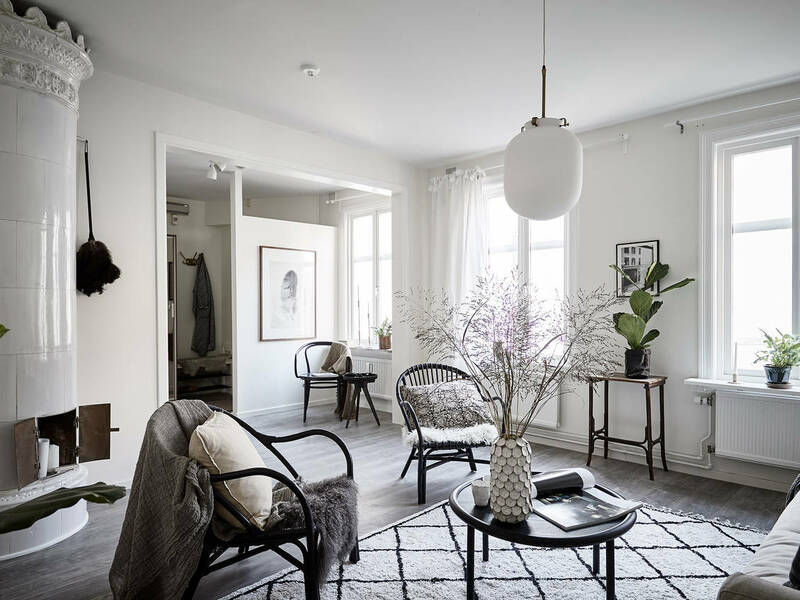 To know how to furnish well also means infusing the interior with the atmosphere that we love most: so for a serene and calm interior we know to turn to a total white look, because white purifies and relaxes the mind and body. 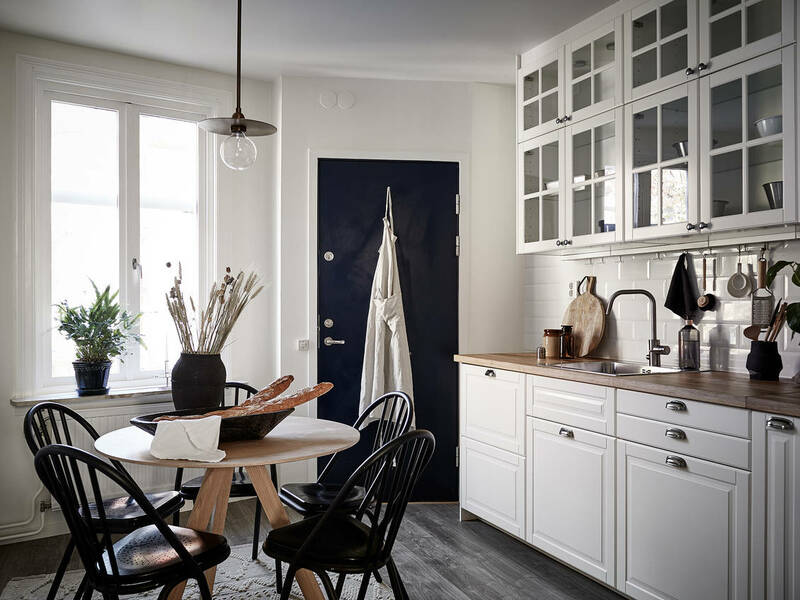 The total white apartment that we present today emphasizes the absolute protagonist color thanks to a splendid dark gray parquet, whose tone is repeated in various elements, the pillows, blankets and the front door. 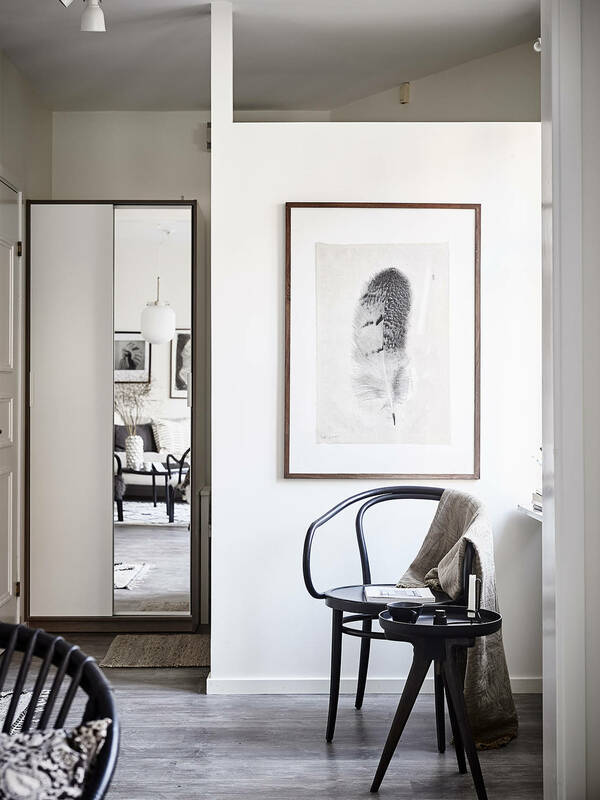 The palette of the rest of the house plays with a delicate balance between white and black, like the geometric patterned Berber rugs, coffee table and black armchairs, and the original posters on the walls. 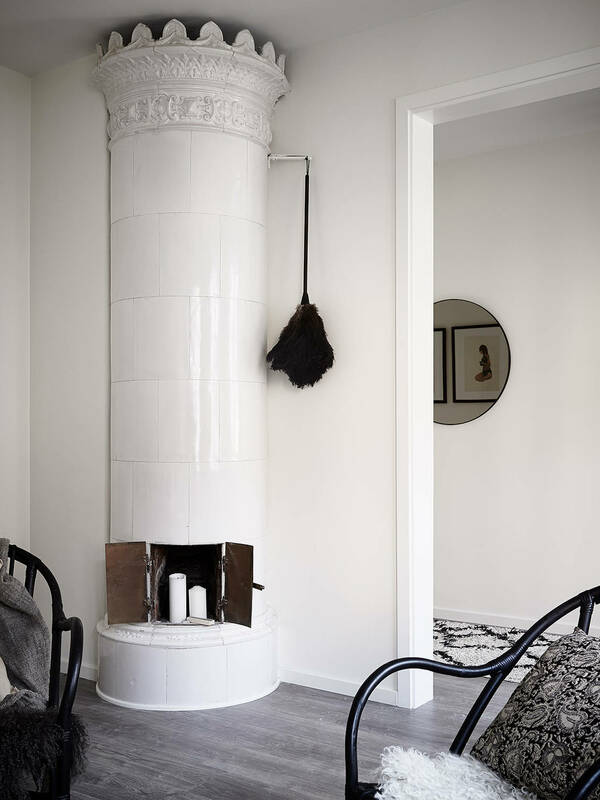 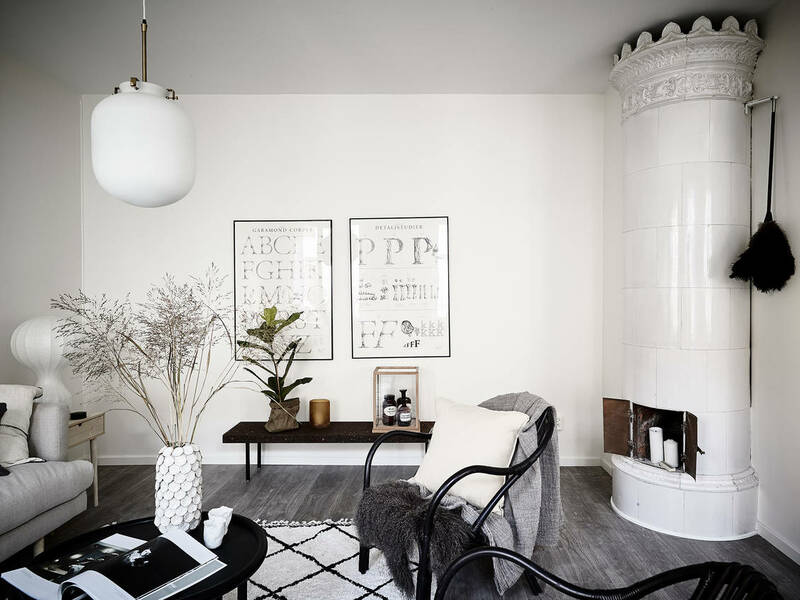 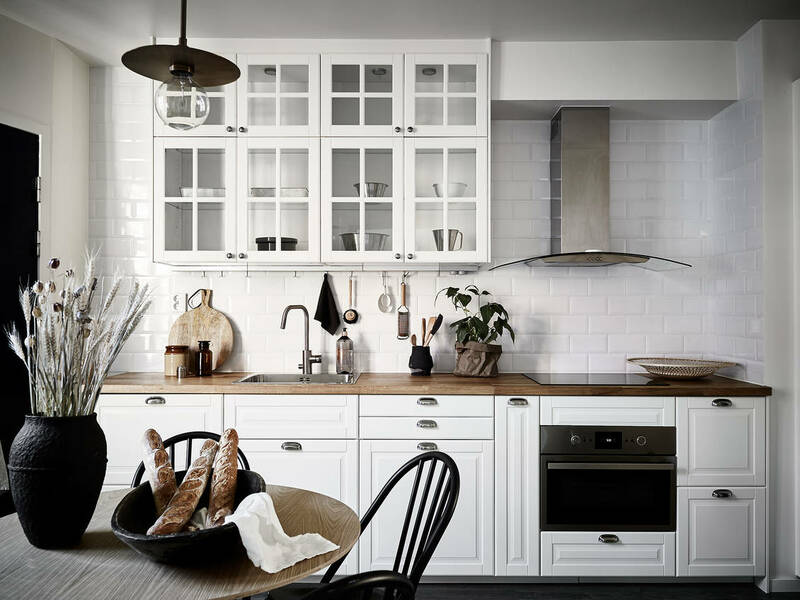 But there are the details that massively contribute the the irresistible charm of this apartment: the vases of different workmanships and materials, many plants, fun and strictly white lamps, two beautiful and authentic tiled stoves, or the skilled use of wood in the kitchen, light white curtains and carpets in natural fabrics.